We are all receiving the GDPR e mails, businesses are preparing for the new data protection laws, for some it’s a total game changer, others it’s matter of a few process changes. However, putting all that aside, we want to talk about the opportunity…the opportunity for Brands to re connect on an emotive, physical level with their consumers again. Direct Mail is still under data protection laws of course, but the main highlight of the new GDPR laws state that you do not need consent for Direct Mail marketing, whilst we do not advocate ‘junk’ mail and spamming mail out like that of yesteryear, we do see this as an opportunity to start thinking about quality mail outs, to regain connection with your consumers. So how do we go about this? The aim of this article is to give you a few pointers as to how to create something that is going to cause such a huge response from a person you are connecting with that they will see the investment is best with you and not your competitor. 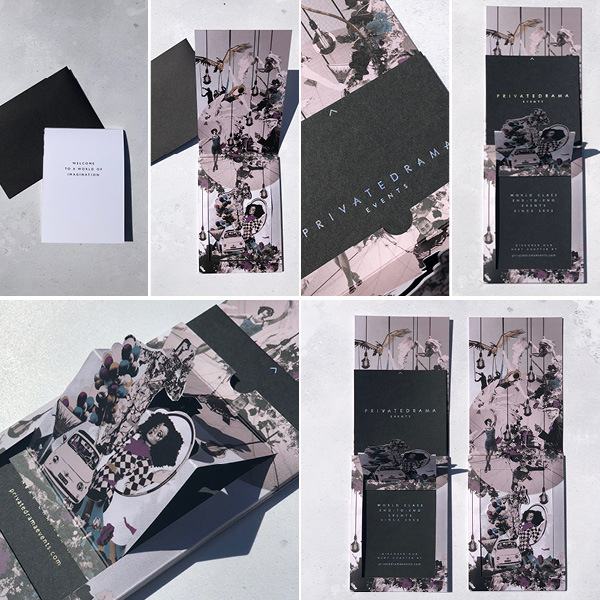 What is emotive stationery or emotive marketing collateral? 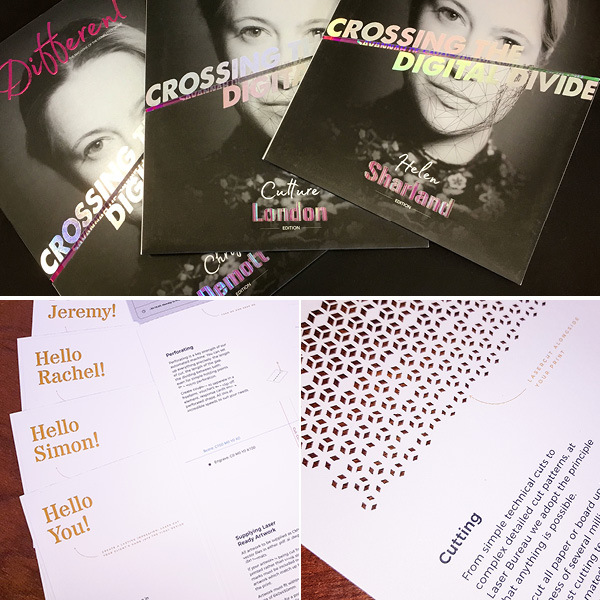 Receiving something in the post is usually your second touch point after a digital campaign. A physical piece of mail is always looked at, not deleted, however it’s about the longevity of the ‘looking’ that you need to work on and create. A shiny, flimsy flyer goes straight in the recycling bin, however, a quality paper with considered print and design begins to live in the home, perhaps on the kitchen table to ponder over breakfast or, in the living room for a coffee time (dedicated time) read. If you receive a piece of post that makes you smile, causes intrigue to turn the page, or even better, makes you so impressed that you share it with your family, that has caused a trigger or emotion in your brain to keep it and look further. ‘Be innovative, think outside the box. This is your opportunity to really stand out. 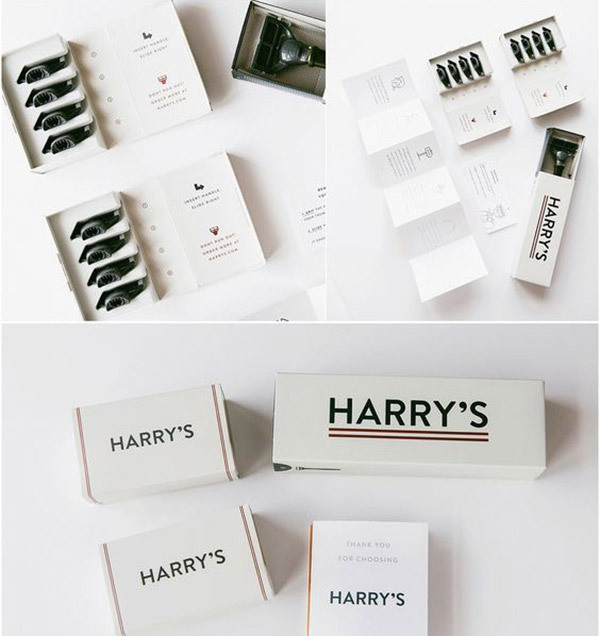 Invest in great design and beautiful and clever packaging. 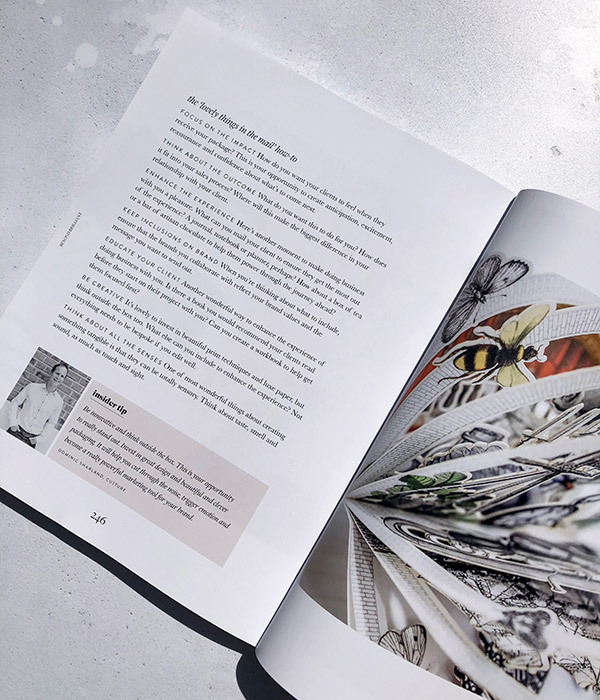 It will help you cut through the noise, trigger emotion and become a really powerful marketing tool for your brand’ Dominic Sharland, Co-fouder of Cutture, as featured in the Brand Brilliance book. Fiona Humberstone summarises in her excellent book the key reasons as to why and how to create emotive marketing collateral, it is a massive subject and we will delve into the how to’s in this blog series, for now we are introducing the value of direct mail and fantastic print solutions alongside digital marketing. Why do you need to create a mail out that causes such a reaction? In the digital age that we are in there is a common misconception that every part of marketing now needs to be digital ‘we only send out e vites as they are measured’, or, ‘we promote online only now’ common reasons we hear, however, what’s really exciting is when digital brands marry their digital marketing with printed collateral at their customer’s door, now they are the brands that are currently winning. We are talking about Brands, usually Digital based Brands who are already using direct mail for marketing and are really, really upping their game. Print is making a huge come back in reinforcing Brand values and relationships with their consumers online. 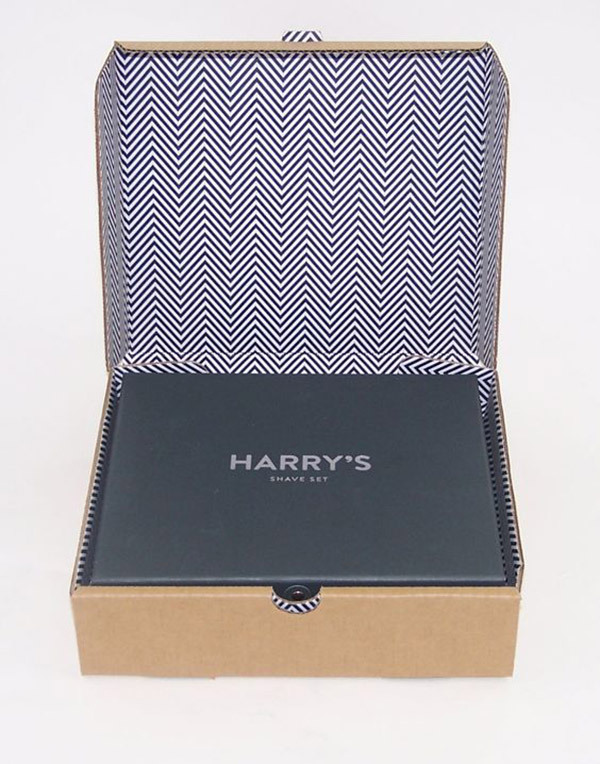 Fashion and beauty brands, in particular, are a great example of marrying their digital marketing with their physical brand re enforcement, they are still sending catalogues, but condensed and beautifully designed and Printed, they then use gorgeous, printed, branding details within their packaging to enhance the consumer experience from an online order – Hush, Harry’s I’m looking at you, we could go on but essentially these brands are hitting touch point after touch point by investing in their print to engage with their consumer as they don’t have a ‘shop’. One Brand who blew our mind recently was a Bank, surprising, yes! A corporate Bank, but an online one…it was the perfect case study as to WHY we ended up choosing that bank over a high street one. Having set up a First Direct account, after 2 weeks and multiple, duplicate letters later we fill out ID, 2 more duplicate letters and 2 weeks later a bank card shows up on a traditional printed A4 letter. The result? We were frustrated, despondent and not too up for working with them. 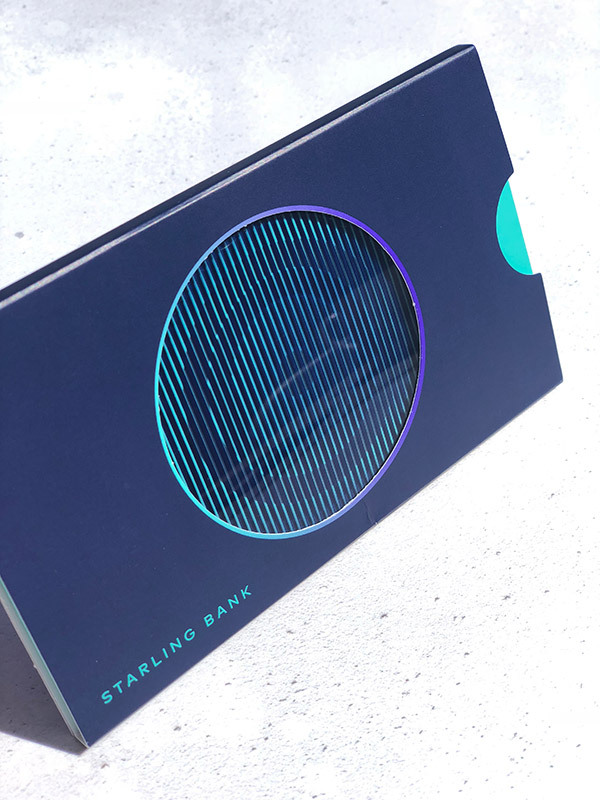 In the meantime, whilst being fed up of waiting for First Direct to open our account, we opened a Starling Bank account online, within 24 hours the account was live, and within 3 days a card appeared in a piece of wonderfully designed Direct mail, almost a Cutture piece! That was it, we were won, we felt valued, refreshed and got on with transactions immediately. They have invested in Print to tap into our emotional side, and they won. 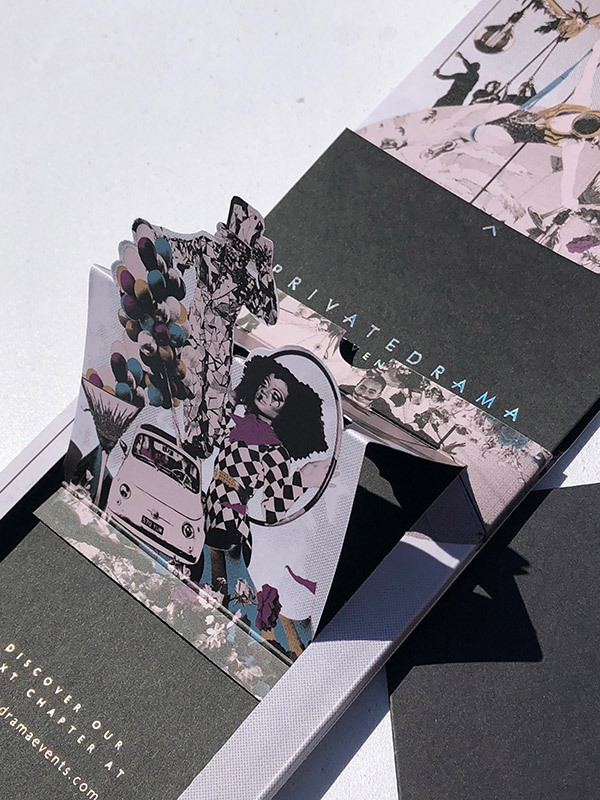 We recently completed a beautiful piece of Direct Mail for our friends at Private Drama, always forward thinking and in tune with our way of thinking. Private Drama’s clients need a touch point, they react to their incredible theatrical entertainment in such an emotive way, in turn the way the Brand communicates with their client needs to also be emotive, and that must be more than just an e Shot. We created a piece of Direct Mail just to announce their new website (another example of print enhancing digital). The piece was designed to look relatively simple, yet have that all-important surprise and reveal, so, naturally, we had a mechanism that provided that alongside designing to their new, very clean, Brand Guidelines with the ‘entertainment’ element being rich and surprising inside, just like what they offer as a Brand. They had a great response with people providing feedback and crucially checking out their new website out of intrigue. 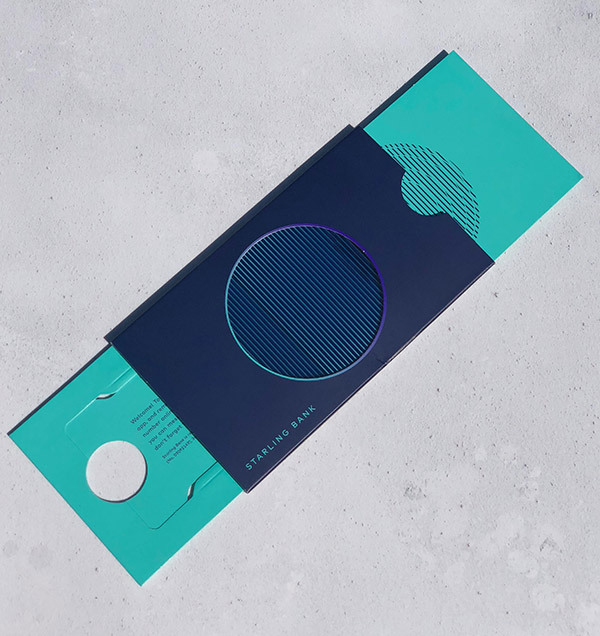 A great example of using Direct Mail to both do a job and connect with your consumers and a relatively simple Cutture creation that still packed a punch. One of the best and easiest way to create an emotive response from any product is to personalise. This can now be done very easily for mass production mail outs, why not take it one step further and not only print people’s names on your paper design but laser cut them? People expect more now, printing names is easy, by laser cutting them you are offering something unique and guaranteed to be kept longer! 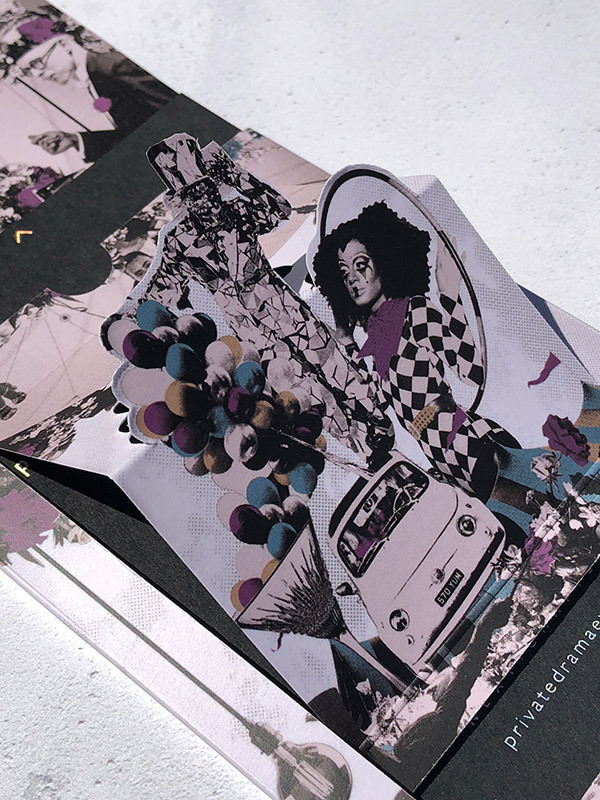 This is easier than ever to do now with automation on machines, at Laser Bureau we recently created a campaign for a magazine, who printed and laser cut names on the special edition covers, such a great touch and unexpected for a mass produced product. 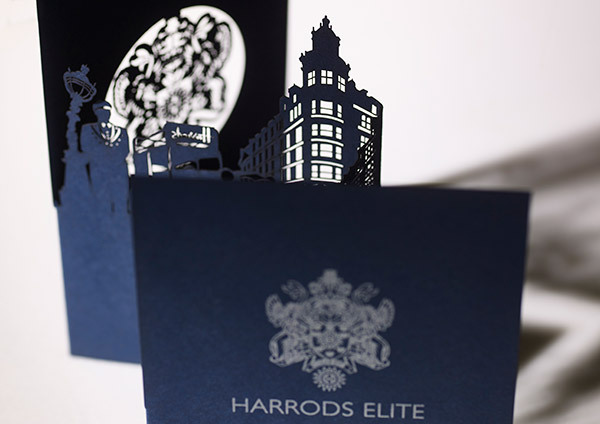 As you know we work with a lot of corporate Brands and not only on event work, Molton Brown, Jimmy Choo, Harrods Elite are just a few clients who have invested their marketing budget in great design and print with us, whilst these are household names, they still need to remain current and in touch with their consumers. Royal mail have done considerable research on the subject of the importance of Direct Mail, their in depth research and analyses is well worth a read. ‘We’ve looked into consumers’ homes and found that mail lives a rich, complex and surprisingly long life beyond the doormat. We’ve looked into their hearts and uncovered the deep emotional responses that are triggered by sensations of touch. And we’ve literally looked into their heads, using the latest neuroscience techniques to discover that mail has a profound and direct impact on the brain. What digital media hasn’t changed is people. We are still physical creatures that thrive on human contact and stimulation. Giving, receiving and handling tangible objects remain deep and intuitive parts of the human experience.’ Royal Mail, you can read the full article here. This is SO true, when people handle our paper goods for the first time here at Cutture, the reaction is priceless every time, the reveal, the feel and every single time, they say, ‘you just have to see it and touch it, a photograph doesn’t do it justice’ – an emotive response. If this article is ringing true for the Brand your work for or your own, please do not hesitate to make contact with us, we relish the opportunity of enhancing a Brand and creating results for marketing campaigns. In this day and age Print is vital. Value, Emotion, Instinctive and Remembered…. not sure about you but I’m rethinking our marketing campaigns from now on..
39% say they have a dedicated display area in their home where they put mail. Think creatively about ways to encourage people to display your mail and it will become visible to everyone in the household. An average of 23% of all mail is shared between people in a household. 21% of promotions and special offers are shared. If you give people a positive reason to share or discuss your mail, your brand will start being talked about, allowing your message to reach more people.